Do you ever wonder what keeps you from achieving your ultimate goals and dreams? An outside perspective is the perfect way to access the things that may either hold you back or propel you forward toward success. 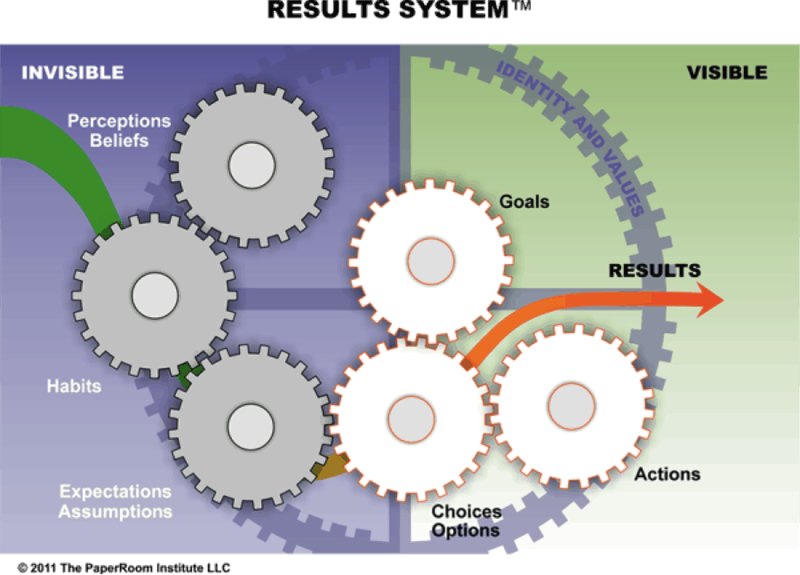 In the Results System (formerly known as PaperRoom), you will experience a unique coaching process that will dive deep into your patterns of thinking and behavior that help you and hurt you. You may be fully aware of some of your personal patterns but the Results System will also help you uncover the unconscious habits that are holding you back. Once you discover your best and worst skills, you can learn to optimize your performance at work and outside of work. Launch into the next level of your career and personal life in the Results System, visit Terry Hildebrandt to sign up. This entry was posted in Assessment, Coaching, Leadership, Leadership Development and tagged employee development, executive coach, executive coaching, executive development, leadership, succession planning. Bookmark the permalink.